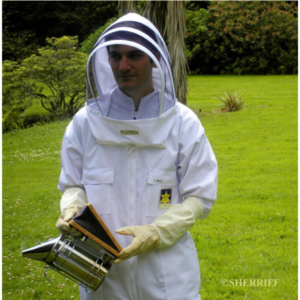 Hive World is the New Zealand agent for Sherriff Beekeepers Clothing manufactured in the U.K.
We are proud to offer Sherriff Beekeepers Clothing to our customers because we love the beautiful feel of these quality garments. 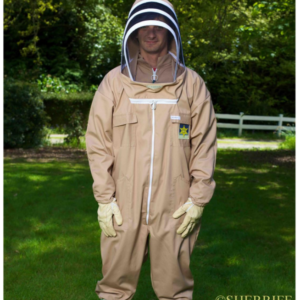 Sherriff state the average life of their beesuits is 15 years and due to their quality, they offer a 5 year warranty on their zippers. 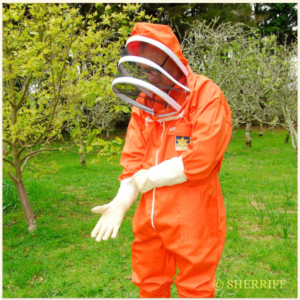 Sherriffs most popular beesuit is the APIARIST-ALL-IN-ONE available in sizes XS -5XL. Customers can choose from a good selection available in stock. Please Note: We will order your desired colour if we haven’t got it on hand – simply allow 2-3 weeks extra for delivery. Furthermore, for only a small extra charge, you can have your suit specially fitted for Short or Tall. The classic COUNTRYMAN’S SMOCK is available in sizes Small through 2XL with elastic adjuster at waist and long sleeves. 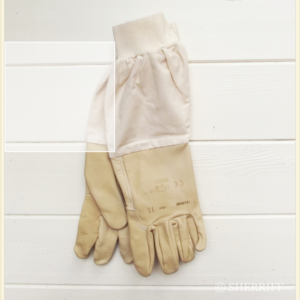 Customers can choose from Khaki or White. (Call us with your requirements). 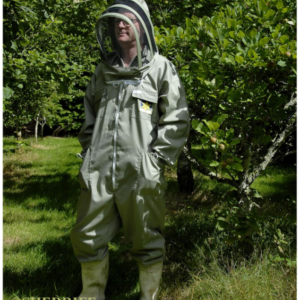 The self-supporting, beekeepers safety hood with CLEARVIEW mesh is used for all these styles. Another plus is that they are easily removed for washing. 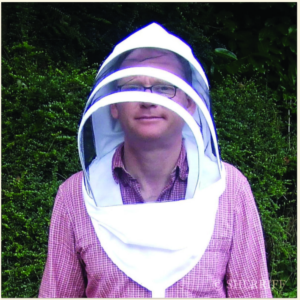 Furthermore, we sell replacement hoods if your original hood wears out before the beesuit.